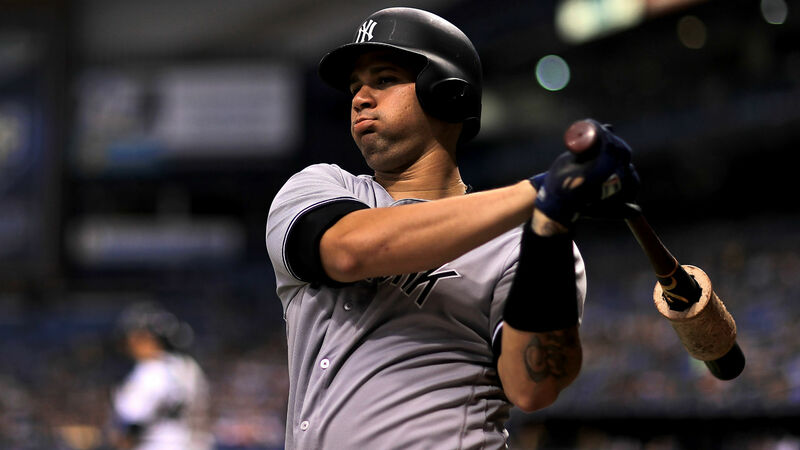 It hasn’t been a great 2018 season for Yankees catcher Gary Sanchez, and it didn’t get any better on Monday night. A ruinous lack of hustle from Sanchez along the basepaths in the final inning cost New York a chance to tie the game — and sent Sanchez even further into the dog house. The Yankees found themselves within one run of the Rays in the ninth inning after battling back from a 7-3 deficit in the seventh. New York had the bases loaded with two down in the final frame, and Sanchez drilled a sharp grounder to Tampa Bay second baseman Daniel Robertson (playing left of second on the shift). He flipped it to shortstop Willy Adames, but the throw wasn’t in time to record the out at second. The quick-thinking Adames gunned it to first base, easily beating a sluggish Sanchez for the final out and giving Tampa the 7-6 win. Yankees manager Aaron Boone hadn’t seen the replay when discussing the out with reporters, but did comment on Sanchez’s final at-bat, his night in general and his overall performance in 2018. The Yankees catcher is batting a rough .188 with an OPS of .706 this season. His power has been there with 14 home runs and 42 RBIs, but he hasn’t been the consistent threat at the plate the Yankees expected him to be. Sanchez has also battled through injury at times this season, including a 20-game absence from June 25 through July 15. Sanchez certainly isn’t known for his speed, but with the play bang-bang as it was and the game on the line, there’s a chance he could have beat the throw and tied the score with even just a little hustle. What is the golf event at 2018 European Championships, is it part of the PGA tour and who is competing?